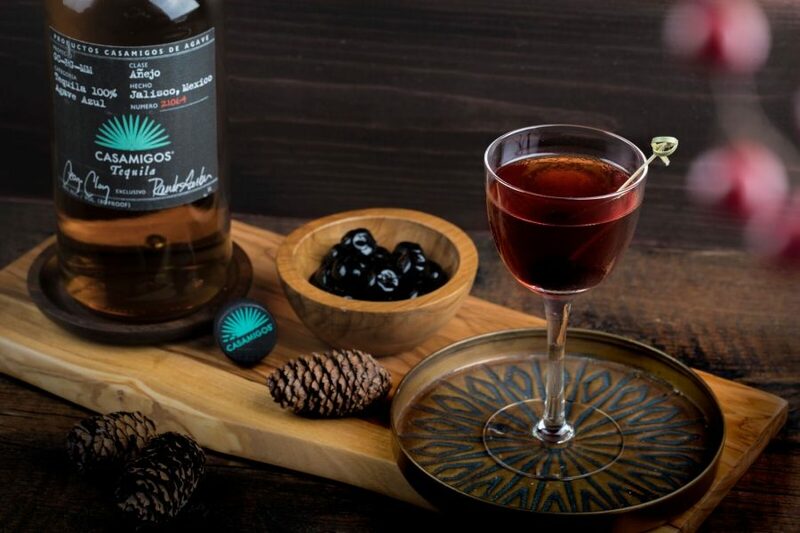 CASAMIGOS Cocktails for the Coziest Holiday Season Yet! 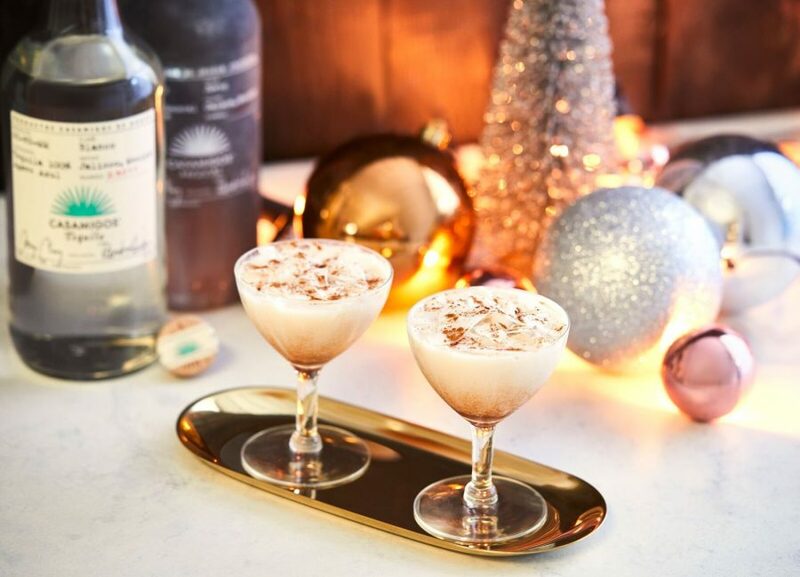 Casamigos is here to help you and your House of Friends stay warm & cozy through the holidays, with festive easy to recreate specialty cocktails. 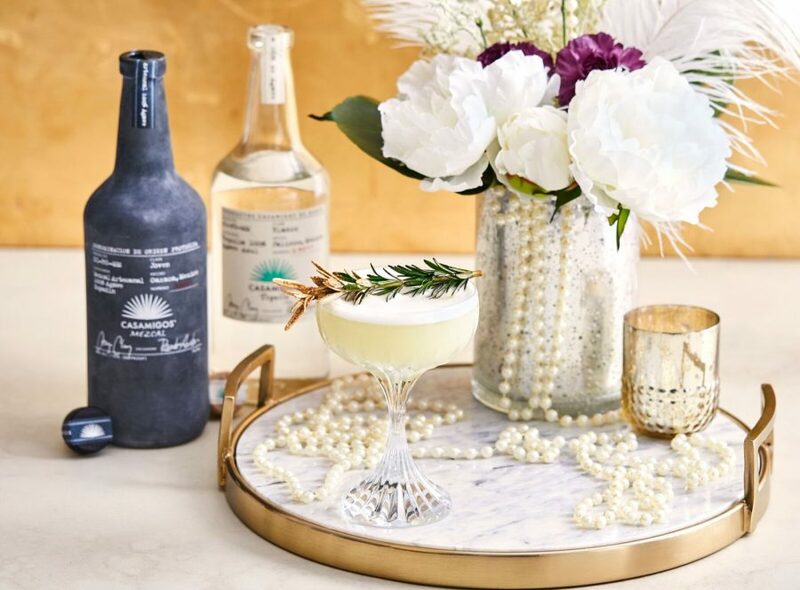 The Casa Bells, Santa’s Nightcap and Frostbite are perfect for your next holiday gathering, while the Evergreen or Casa Royale will elevate any New Year’s Eve celebration. In between the fun, sip on a Casa Cider, Casa Hot chocolate or an Añejo Manhattan for a quiet night indoors. Method: Combine all ingredients into tin shaker and add ice. Shake vigorously for 8-10 seconds then fine strain into rocks glass. 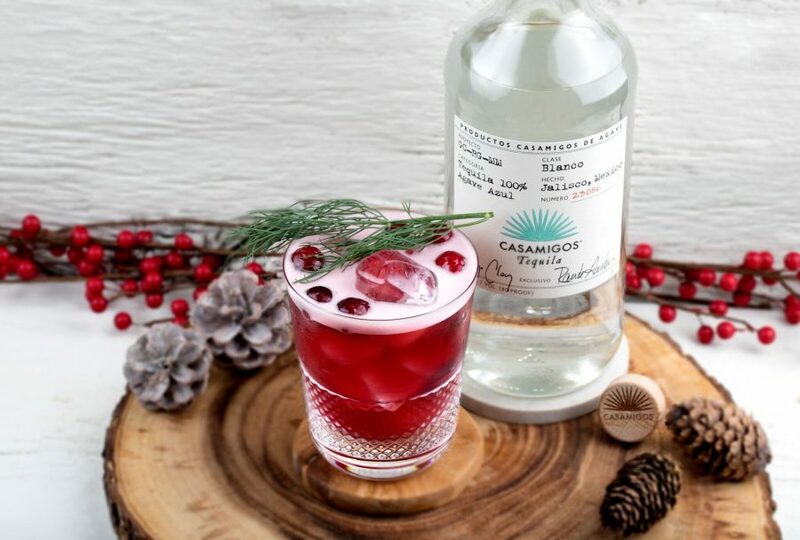 Add ice and garnish with 3 fresh cranberries on skewer and dill sprig. Method: Combine all ingredients into tin shaker and add ice. Shake vigorously and strain into champagne glass. 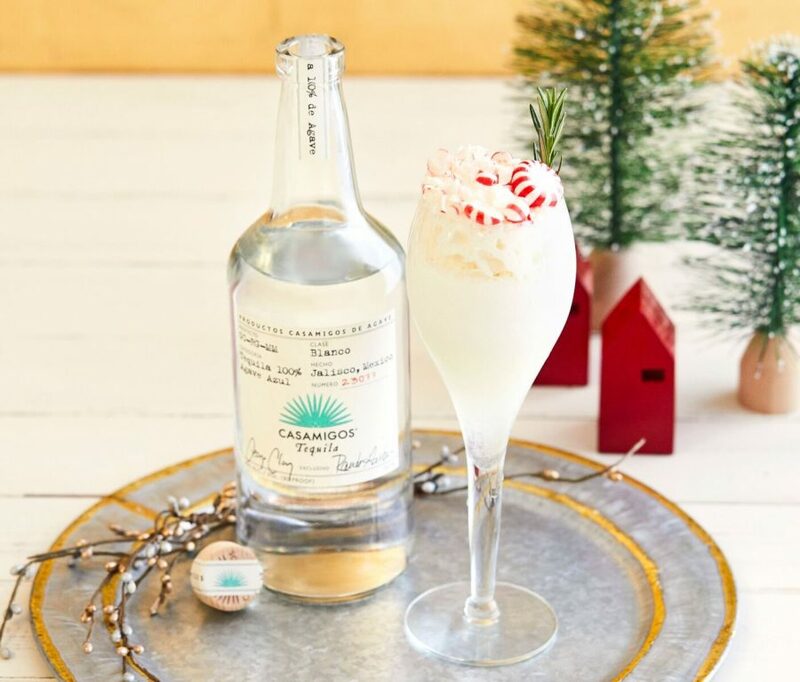 Top off with whipped cream and garnish with crushed peppermint candy / rosemary sprig. To create rosemary syrup – (Makes 750ml) Bring 12 oz. water to a boil and add 10-12 rosemary sprigs and let simmer for 10-12 minutes. Then add 12 oz. granulated white sugar and stir until fully dissolved. Fine strain into another medium sized saucepan and let cool. Once cool, transfer into glass vessel with lid and refrigerate. Good for 3-4 weeks. 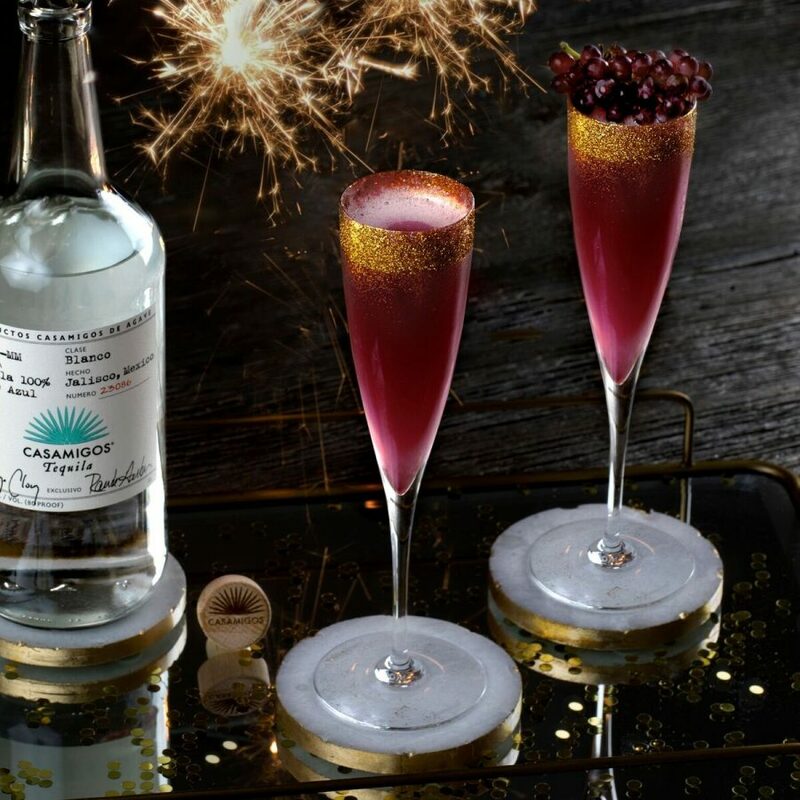 Method: Combine all ingredients into tin shaker, except for champagne or prosecco and add ice. 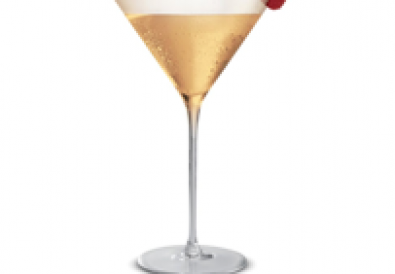 Shake vigorously for 4-6 seconds then strain into champagne flute. Top off with champagne or prosecco. Garnish with concord grape on skewer and edible gold glitter over top. Method: Combine all ingredients into tin shaker and add ice. Shake vigorously for 8-10 seconds then strain into rocks glass. 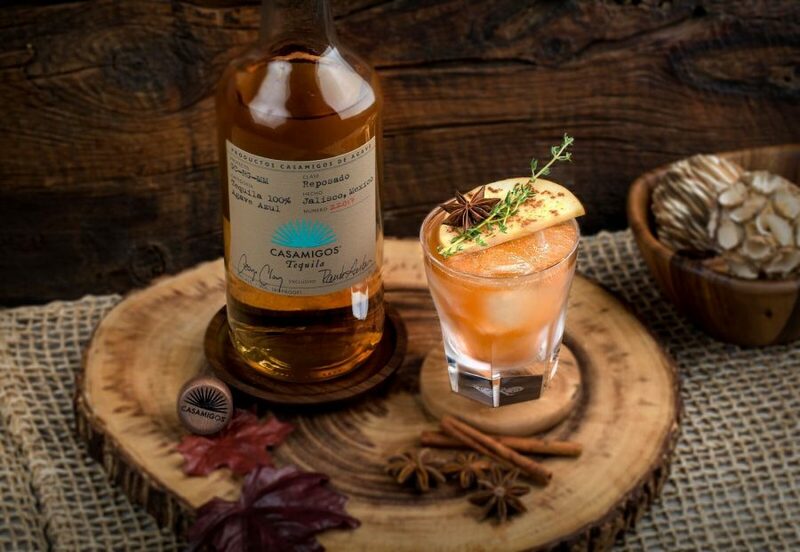 Add fresh ice and garnish with thin apple slice, thyme sprig, star anise and cinnamon sprinkle. 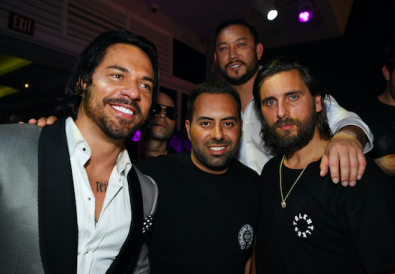 This cocktail can also be served hot. 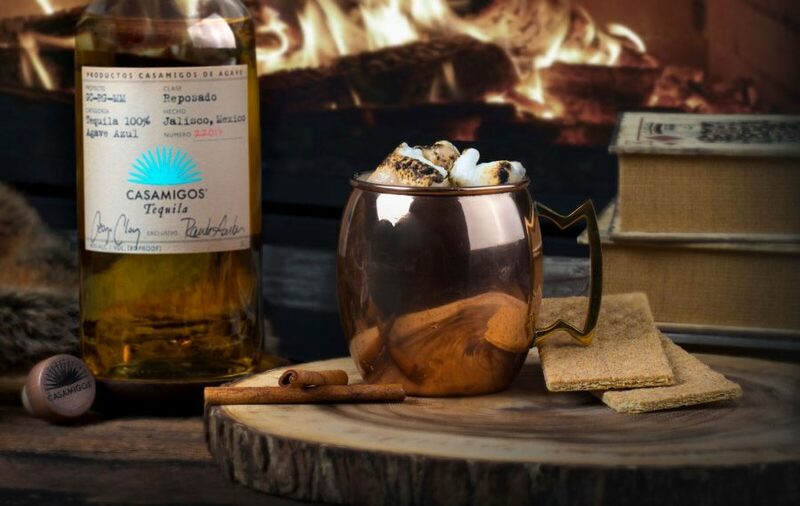 Method: Combine Casamigos, agave nectar, almond liqueur, and cinnamon into mug. Top with hot chocolate mix and stir. Garnish with 2 large roasted marshmallows and graham cracker square.